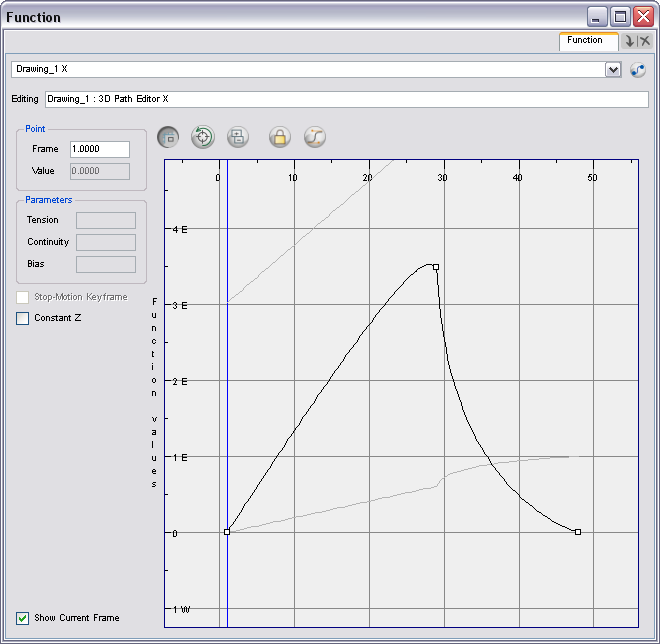 While editing the X function of this 3D motion path, you can see the graphs for the Y, Z and velocity. 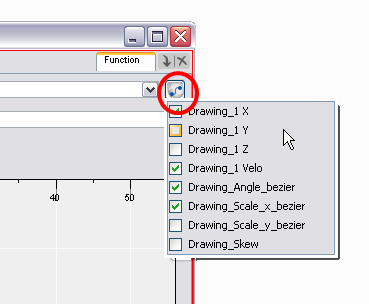 The Function view allows you to display multiple functions in the background as a reference. While you are editing one function, you can see other selected functions, this helps you synchronize changes in one function with other functions. You can set the orientation of the Function view to be vertical (portrait) or horizontal (landscape). ‣ In the Function View menu, select View > Set Vertical Layout/Set Horizontal Layout. To display a function in the Function view, click its name in the Timeline view. You can also display several functions in the Function View. 1. Open the Function view. 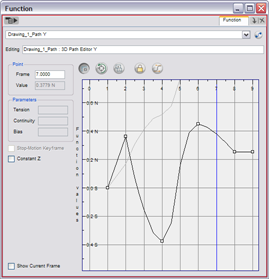 The Function view is blank until you select the functions you want to display. 2. Click on the Function button and scroll down the list of available functions. Click the checkbox next to the function name to display it in the view. ‣ To display a function in the Function view, click its name in the Timeline view. 3. 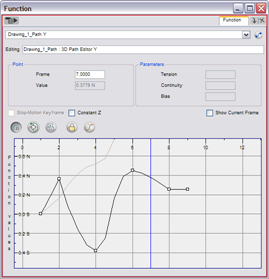 To select the function you want to edit, select its name from the function drop-down menu.